The zoom range of Canon’s EF 28-135mm f/3.5-5.6 IS USM lens encompasses the entire trinity of focal lengths—85mm, 105mm, and 135mm—for portraiture. While the f/3.5-5.6 variable aperture may be a bit slow for available light portraits, it’s more than made up for by the built-in lens stabilization. The 28-135mm is my go-to lens when shooting with Canon SLRs. This bridal image was made in my home studio with a Canon EOS 50D and an EF 28-135mm (at 70mm) with an exposure of 1/125 second at f/10 and ISO 125. The late Mr. Newton was certainly onto something. I believe the overwhelming desire of most portrait photographers is to please the client, with seduction, amusement, and entertainment far from their minds. Let me submit this idea: shoot what the client says they want and then shoot something challenging their assumptions. Most wedding clients tend to be traditional but even introducing black and white or infrared images can increase sales and show clients you’re thinking outside the veil. It all comes down to the differences between what photographers and their clients want. Photographers demand sharp lenses with perfect optics but then use a retouching process removing any trace of the original, crisply focused and rendered image. Does the client care? I don’t think so. Their portrait could have easily been made with a used Helios 44-2 58mm f/2 lens bought on eBay for $50 that would probably require less retouching. One reason why, I believe, we became photographers is that we want to reorder the world into the way we see it, not the way it is. And to accomplish these goals, you’re going to need lenses so let me suggest a few. 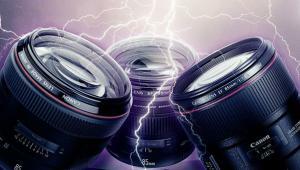 Any discussion of lenses devolves into a heated discussion of zooms vs. primes. Zooms are more flexible, sometimes cost more, and in the bad old days were reputedly less sharp but that old saw has safely been laid to rest. Primes are typically smaller, faster, and less expensive, although Nikon’s 105mm f/1.4E ED lens makes two of these conjectures moot. But I think we can agree the versatility of zooms makes them indispensable for wedding and event shooters. Since I previously wrote about the universality of 70-200mm lenses I won’t beat that poor horse again, so instead let’s look at the other end of the focal length spectrum: although not finished in the L-series signature white, Canon’s EF 16-35mm f/2.8L III USM ($2,199) is part of the company’s pro series of lenses. As such, it’s dust- and water-resistant using a fluorine coating on exposed front and rear elements to reduce smears and make cleaning easier. The optical design incorporates two GMo (Glass Molded) dual-surface aspherical elements and one ground aspherical element to minimize distortion as well as maintain edge-to-edge sharpness. To reduce chromatic aberrations, the lens uses two Ultra-low Dispersion glass elements with Subwavelength and Air Sphere coatings to lessen flare and ghosting. 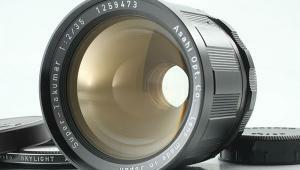 The lens is compatible with APS-C-format cameras where it produces a 25.6-56mm equivalent field of view. Canon includes a lens hood at no extra cost. Who’s It For: Wedding shooters looking for a wide-angle zoom that’s fast enough for low-light, down-on-the-floor ceremony shots. Why I Like It: While neither lightweight (1.74 pounds) nor inexpensive, this is a rugged workhorse for Canon-shooting wedding photographers. Nikon’s AF-S Zoom-Nikkor 17-35mm f/2.8D IF-ED lens ($1,951) might as well have “versatility” stamped on its included 77mm snap-on lens cap. Its internal focus system won’t extend the lens while focusing and the Silent Wave autofocus offers quiet AF, especially important when shooting wedding video. Manual focus override allows for precise control even in AF mode. Two Extra-low Dispersion glass elements reduce chromatic aberrations and three aspherical lens elements minimize spherical aberrations. A Super Integrated Lens Coating improves light transmission while diminishing ghosting and flare. The minimum focusing distance is 10.8 inches, allowing you to get close to the subject and maintain focus while a nine-blade circular diaphragm creates natural-looking bokeh. 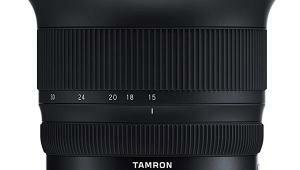 The lens is also compatible with DX-format cameras, producing the equivalent of 25.5-52.5mm. 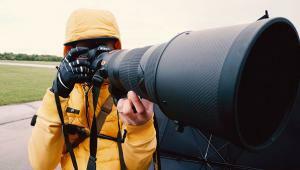 Who’s It For: Nikon-shooting event, wedding, and documentary photographers. Why I Like It: It’s slightly lighter than the Canon and uses less expensive (if only a little) 77mm filters. 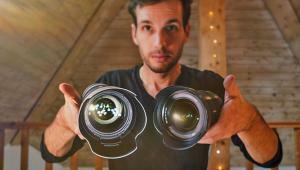 While it’s true you can make a portrait with any lens from an extreme wide angle to a 500mm and longer lens to provide a unique perspective, conventional wisdom gives us the trinity—85mm, 105mm, and 135mm. 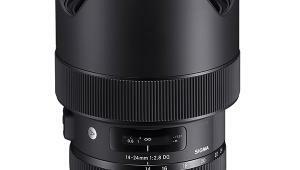 Sigma’s 85mm f/1.4 DG HSM Art lens ($1,199) comes in Canon, Nikon, and Sigma SA mounts. It uses two FLD elements and one anomalous partial dispersion/high-refractive index element to minimize aberrations while a Super Multi-Layer coating reduces flare and ghosting. 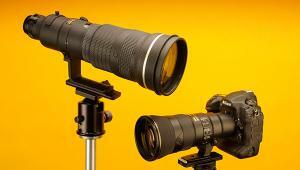 A Hyper Sonic Motor provides fast focusing and a large focusing ring permits manual focus override. The rounded nine-blade diaphragm should produce round, smooth bokeh. Designed for full-frame cameras, it can be used with APS-C cameras where it produces a 136mm equivalent, thus checking off another of the focal length trifecta. It is made from a thermally-stable composite material—OK, it’s plastic—but has a solid look and feel and a brass bayonet mount. Who’s It For: Available light portrait photographers, headshot shooters, and photographers who want to control depth of field in their portraits. 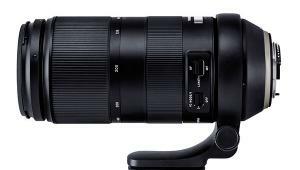 Why I Like It: Sigma has been producing some amazing lenses recently and this prime continues this trend. Offering it in more mounts would be nice. Rokinon’s 135mm f/2.0 ED UMC lens for Sony E-mount ($549) is a manual focus telephoto prime lens for portraiture, especially outdoors where the focal length produces nice perspective and you have the space to use it. The optical design uses one Extra-low Dispersion lens element to control chromatic aberration and each lens element has an Ultra Multi-Coating to improve light transmission as well as reduce ghosting and flare. Its minimum focus distance is 2.6 feet and internal focus prevents the front end from rotating. It’s compatible with full-frame and APS-C-format E-mount cameras, where it produces a 202.5mm lens field of view. A rounded nine-blade diaphragm should make bokeh fans happy. The lens has a metal barrel with a wide focus ring with a manual aperture control ring and comes with a lens hood at no additional cost. Who’s It For: Available light portrait photographers who aren’t afraid to focus and headshot shooters who want to control depth of field in their portraits. Why I Like It: As my recent experience has shown when working in “available darkness,” many AF portrait lenses, even expensive ones, are so slow you end up manually focusing anyway. The optical design of Tamron’s SP 85mm f/1.8 Di VC USD lens ($749) uses one Low Dispersion element and one Extra-low Dispersion element to reduce chromatic aberrations and color fringing. It’s available for Canon, Nikon, and Sony mounts and is compatible with APS-C models, producing a 136mm equivalent focal length. BBAR and eBAND coatings are applied to minimize flare and ghosting and a rounded nine-blade diaphragm should produce pleasant bokeh. AF uses a ring-type USD autofocus motor with an optimized USD actuator for fast focusing with full-time manual focus for fine-tuning. While not as fast as its competitors, it’s also less expensive and includes image stabilization, which minimizes camera movement by up to 3.5 stops. The lens has moisture-resistant construction with a fluorine-coated front element to guard against smudges and moisture. Tamron’s SP 85mm f/1.8 lens is compatible with the optional ($59) TAP-in Console for fine-tuning focusing and firmware updates. It measures 6.9x6.1x5.8 inches, weighs 2.55 pounds using affordable 67mm filters. 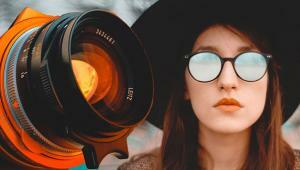 Who’s It For: Portrait photographers who are looking for an all-around useful portrait lens for use in the studio or on location. 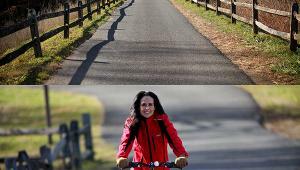 Why I Like It: I think the trade-off between modest aperture for image stabilization and affordability is a good one. With the ability to add diffusion to any image using software like Google’s Color Efex Pro, the trend of soft focus lenses, once embodied by optics like my beloved and discontinued Canon EF 135mm f/2.8 SF, has seemingly passed, and another movement to go back in time has resurfaced. Exhibit A is Lensbaby’s Velvet 56mm f/1.6 lens ($499) that produces images with a soft, glowing quality that’s a good fit for portraits, especially in boudoir photography. Overall diffusion is controlled by stopping down the lens while retaining the smooth tonality of a soft focus lens. 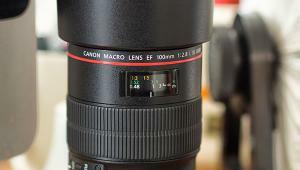 The Lensbaby also offers a 1:2 maximum magnification with a minimum working distance of five inches for shooting macro. Who’s It For: Portrait and boudoir photographers who want to create dreamy-looking images as well as SOOC (Straight Out Of Camera) shooters who want to avoid any image processing. Why I Like It: The silver and copper steampunk-inspired Lensbaby Velvet 56mm f/1.6 Limited Edition version ($599) is not in my budget but it’s my choice because it would make a great conversation starter during an intimate portrait session. The Zeiss Batis 85mm f/1.8 lens ($1,199) is designed for full-frame Sony E-mount cameras but can also be used on APS-C-sized E-mount cameras where it produces a 127.5mm equivalent field of view. For precise control, the lens offers AF plus a big rubberized focusing ring. The Batis uses a classic Sonnar design that incorporates 11 glass elements within eight groups with floating elements to reduce aberrations and distortions. The T* anti-reflective coating minimizes flare and ghosting and the included lens hood is so seamless it seems like part of the lens. There’s an OLED on the top of the lens showing the distance as well as the depth-of-field range. 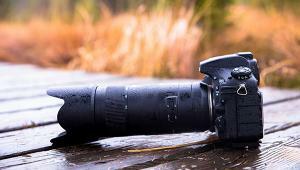 The lens is dust- and weather-sealed, which is beneficial for shooting in inclement weather. It measures 10.2x6.5x4.6 inches, weighs only 1.05 pounds, and has a 67mm filter thread. Who’s It For: Perfectionist portrait photographers who shoot with Sony cameras. Why I Like It: This is a real jumping-up-and-down autofocus Zeiss lens that uses linear motors to provide smooth, fast, and quiet AF. Leica is another legendary name in optics that’s taken aim at the mirrorless camera market. 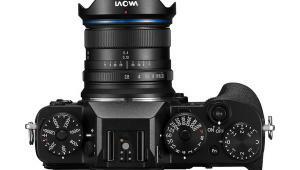 The Lumix G Leica DG Nocticron 42.5mm f/1.2 ASPH Power O.I.S. ($1,597) offers a focal length equivalent of 85mm with a fast aperture, making it well suited for available light portraits. When combined with Panasonic’s in-body optical image stabilization (on some models) it’s a double threat ensuring sharp images by minimizing camera movement. Optical design combines two aspherical elements to suppress spherical aberration and distortion along with an Extra-low Dispersion element to increase contrast and sharpness and an Ultra High Refractive Index element for uniformity to the edges. The lens has a Nano Surface Coating to minimize reflections from stray light and includes a metal lens hood at no extra cost. 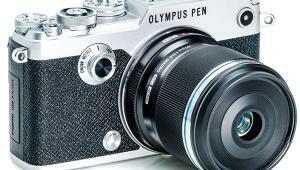 It has an external aperture ring with nine circular diaphragm blades for great-looking bokeh. The lens measures 2.91x3.03 inches, weighs 14.99 ounces, and has a 67mm filter thread. Honorable mention goes to the Leica DG Macro-Elmarit 45mm f/2.8 ASPH MEGA O.I.S. lens ($797) with built-in image stabilization. It lets you capture subjects at a true macro 1:1 ratio. It’s also great as a medium focal length for portraits. Like the Nocticron, it is available in Micro Four Thirds mount for Panasonic and Olympus cameras. It uses 14 elements in 10 groups, including one aspherical element and one ED element, producing a 90mm equivalent field of view. I like the compact 2.48x2.46-inch size, 7.94-ounce weight, and 46mm filter size. Who’s It For: The Nocticron is for Micro Four Thirds shooters looking for a fast, high-quality lens for shooting in low light or something that provides extensive depth-of-field control. Why I Like It: What the Macro-Elmarit gives up in aperture (f/2.8 vs. f/1.2) it makes up for in affordability and its combination of portrait and macro lens capability. This is a clever idea: Olympus offers a Portrait Kit ($999) that includes M.Zuiko Digital ED 45mm f/1.8 and 75mm f/1.8 lenses, as well as hoods and cases to protect the lenses during storage and travel. I own and love shooting the 45mm f/1.8 lens (90mm equivalent) whose optical design uses three Extra-low Dispersion elements and two High Refractive Index elements to reduce chromatic and spherical aberrations. A ZERO coating limits ghosting and lens flare. The 75mm f/1.8 lens (150mm equivalent) has three ED elements and the ZERO coating along with a nine-blade diaphragm for nice bokeh. The padded cases feature polyester and hard-shell construction and close with a zipper. Who’s It For: Thrifty Micro Four Thirds shooters looking for an affordable yet high-quality set of portrait lenses with accessories that are desired but often skipped over when ordering just the lenses. Why I Like It: Olympus charges $62 for the LH-61F hood and $34 for the LH-40B, so the bundle saves money. And the cases are really nicely made. To make the portraits that you see in Shutterbug and on my websites and blog, I shoot both digital SLRs and mirrorless cameras using a combination of both prime and zoom lenses. If you’re curious about the specific lenses that I use, please visit joefarace.com and mirrorlessphototips.com and click on the Gear button.